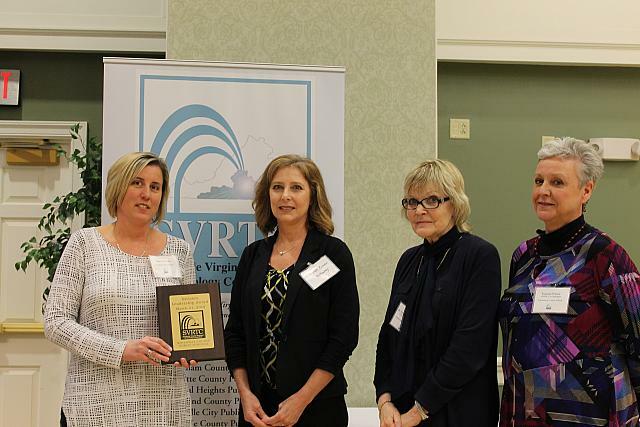 SVRTC members braved the weather to attend the 13th Annual SVRTC Technology Award banquet on Thursday, March 21, 2019 at Longwood University. Longwood University’s Provost and Vice President of Academic Affairs, Dr. Larissa Fergeson welcomed members to Longwood and Dr. Paula Leach, Director of ITTIP welcomed members and introduced SVRTC co-chairman Dr. Elizabeth Jamerson and Frances Wilson. Nottoway Public School representatives stand with SVRTC chairs as they receive the award for Division Leadership. Twenty-one SVRTC school divisions were represented (Amelia, Appomattox, Brunswick, Charlotte, Colonial Heights, Cumberland, Danville, Dinwiddie, Franklin City, Greensville, Halifax, Henry, Lunenburg, Mecklenburg, Nottoway, Petersburg, Pittsylvania, Prince Edward, Prince George and Sussex) at the banquet for a total of 123 attendees. Of those 123 attendees, there were 8 superintendents present for the 49 awards presented to SVRTC members. 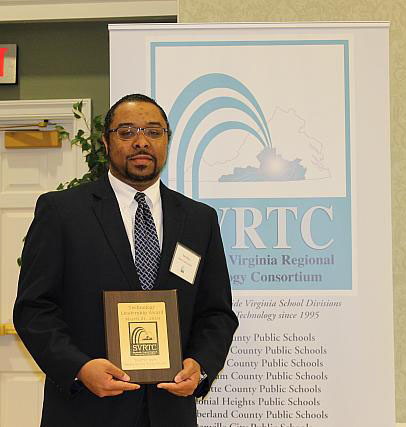 Tim Mays, Sussex County Public Schools, receives Technology Leadership award. 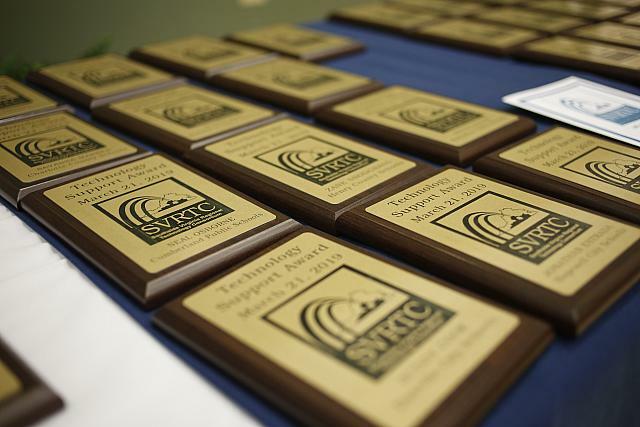 The Annual SVRTC Awards also recognizes a division and an individual through a competitive award: Division Leadership and Technology Leadership. Nottoway Public schools were the recipient of the SVRTC Division Leadership award and Tim Mays received the Technology Leadership award. A complete list of award recipients can be found on our Annual Awards Banquet page or you can view the awards (non-competitive) by clicking on the slideshow. Pictures from the event can be found in the SVRTC picture gallery. STEAM Labs and littleBits, Oh My!